Welcome, Foolish Mortals. With enough time having passed from Marvel’s Disney Kingdom comics line to have faded into memory, it looks like IDW is picking up the reins and starting a new line of graphic novels based on popular Disney attractions. 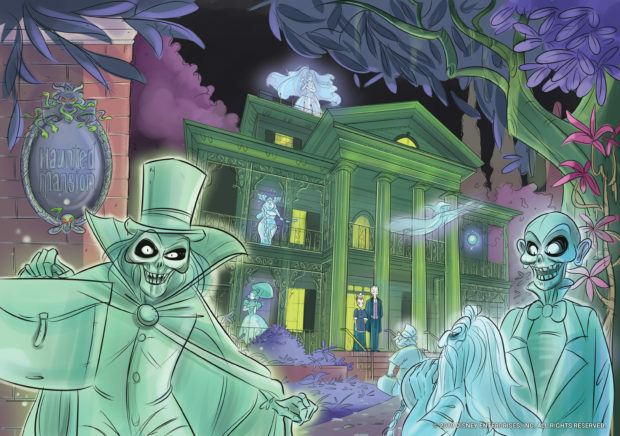 Marvel did a take on the Haunted Mansion, but it didn’t quite resonate. It will be interesting to see what the San Diego-based publisher will do with the property. Marvel focused more on the original notes and ideas for the attraction, centering on a more noble version of the Bride than appears at Disneyland now, bedeviled by an evil sea captain. From the publicity art, it looks like writer Sina Grace and artist Egle Barolini will be tackling more of what has made Gracey Mansion truly iconic.